Pope Francis in his Apostolic Exhortation, “The Joy of the Gospel,” encouraged the members of the church go forth, to move beyond one’s comfort zone and to go out and preach the Gospel with courage, conviction and joy. The world deserves to know the joy of believing, living for and serving Jesus Christ. As Catholics, we have such good news to share with the world around us. We have the sacraments, the living signs of the risen Christ to strengthen us on our pilgrimage of life. In particular, we have Jesus in the Eucharist, who comes to us day after day on our altars and who shares his life with us in a communion of divine love. Jesus remains with us in the tabernacle for our adoration and to anchor us in the storms of our lives. We have the teachings of the church, enunciated in the Catechism of the Catholic Church, which guide us in the life of faith, prayer, service and moral living. We have parish communities that support, challenge, and love us as well as call us to a life of radical stewardship. All this and so much more are treasures and true riches given to us in order to be shared with all God’s children. We do this by preaching, both by word and by deed. The faith was first shared by the preaching of the apostles, who were so filled with the Holy Spirit that they left their abodes of safety, fear and isolation and went out to the ends of the earth to proclaim the Good News. We marvel at the power of their preaching, for many heard and believed. Today, the faith of billions stands solidly on the preaching of the apostles. That dynamism remains with the church today, even though there are many forces in the world which attempt to limit or extinguish it. We must recapture this inner dynamism for ourselves in these turbulent times of the 21st century. Bishops and priests have an apostolic mandate to preach the Gospel; please pray for us as we come to the pulpit every day and preach the Word of God. May our preaching be bold, authentic, consistent, and transformative! Encourage us to preach in this way and to live as authentic doers of the Word, so that hearts and souls will be moved to greater conversion in Christ Jesus. But all the baptized are preachers as well. Here, the laity preach, more often but not exclusively, by their example and their good deeds. Jesus called all of us to be salt for the earth and light for the world. Every baptized person then is a proclaimer of the Good News of Jesus Christ, adding flavor to people’s lives and light to overcome their darkness. Would the people in your sphere of influence, your family, friends, neighbors, co-workers and others know you to be a friend of Jesus Christ? I hope so. Jesus is depending on all of us to bring others to him in faith. Finally, our mission is to evangelize the culture. The culture is the context in which we live the faith. For many in our recent past, the culture of our society and times was a Christian culture or at least one that indirectly supported the tenets of the Gospel of Jesus Christ. That is honestly and sadly no longer the case. Our culture, in so many ways, has become inimical to the true Christian faith. But we must nevertheless evangelize or re-evangelize the culture in which we live. This does not mean of course that we impose or coerce others into faith, but humbly and lovingly propose, invite and encourage everyone to share it. It means also that we are not afraid to live a public faith in Jesus Christ, to be seen by others as his disciples in the world, to witness to Christ by practicing the spiritual and corporal works of mercy, by voting according to our properly formed conscience, by participating in public life as a leaven in the world; in short to be as Catholic and Christian in the public square as we are in the church, where we worship. This is not easy to be sure, but God will give us the courage and strength to do so. Will you accept my invitation to help us carry out this mission? 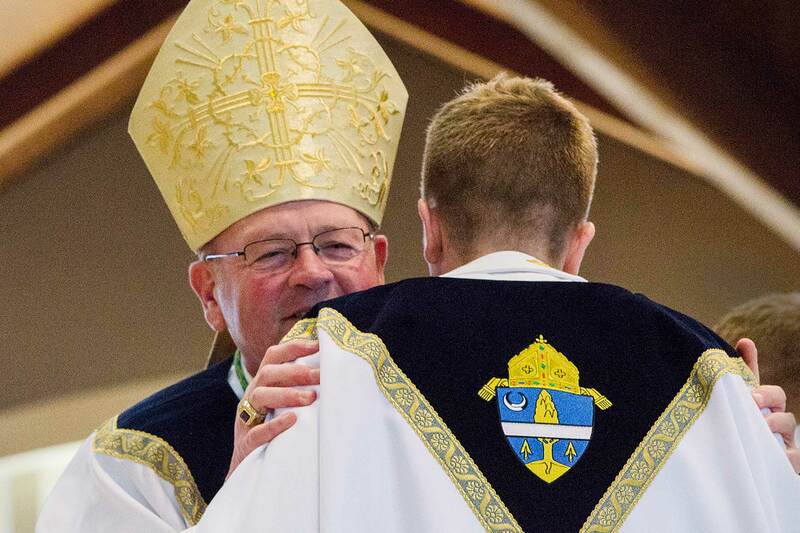 Will you join me and the many others in our diocese to faithfully go forth to preach the Gospel to all God’s children and to evangelize the culture? I am praying you will so that our diocese will truly become fully alive as missionary disciples of Jesus Christ. God bless you!